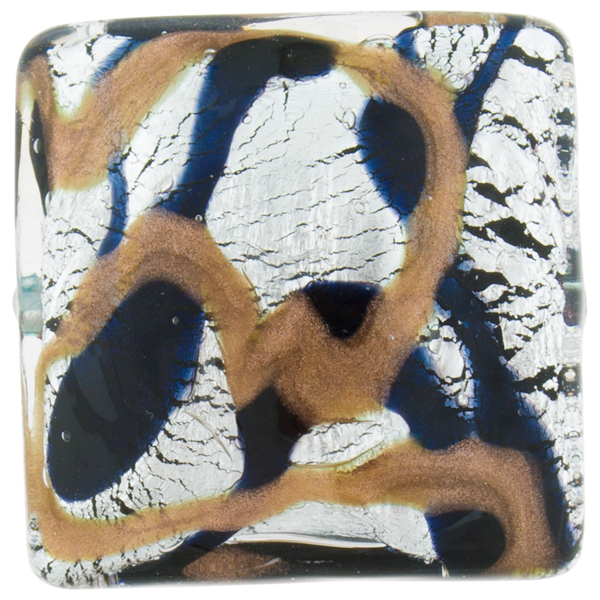 This authentic Murano Glass Bead is part of our new line Sospire, which means to breath in Italian and of the name of the Bridge of Sighs in Venice. We have combined several decorations to produce these colorful and very Venetian beads. 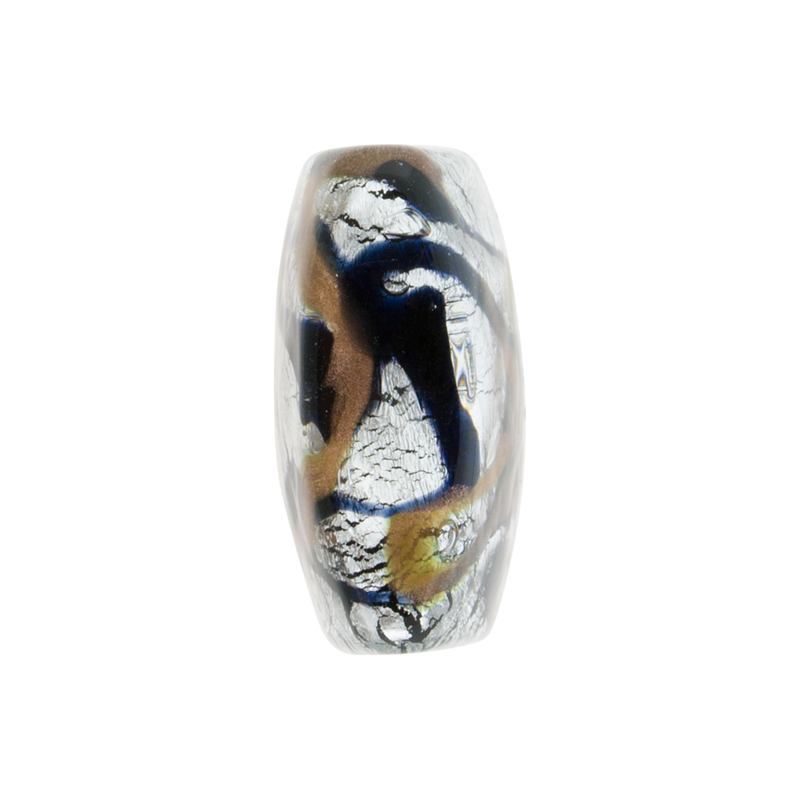 This bead features a base of black covered in Silver Foil, cracked silver and then decorated with large swirls of Black and Aventurina. The size of this focal bead is approximately 24mm square with a thickness of approximately 11mm and a hole in the center of about 1mm. The shape is our new Vela square which is slightly thicker in the middle and taper off on the side.